This blog is by my Dad. He is very proud of this picture. What he didn’t wanted shared was the fact he got attacked by the Mama raccoon and both he and his dogs had to hide in the truck like nancy girls. Notice this is a live trap. 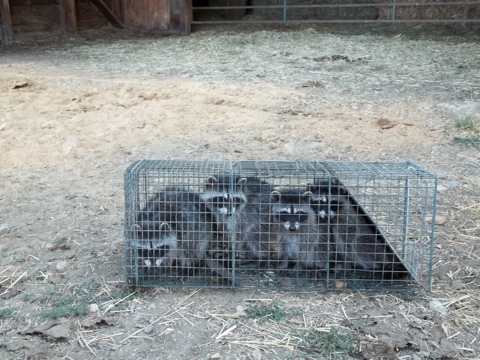 The raccoons are moved away from the ranch, further up into the mountains.